unglaubliche caitlin: memorial day groupon? memorial day groupon?, a photo by unglaubliche caitlin on Flickr. what is UP with this? i wish i could have taken a screen shot of more of the list. 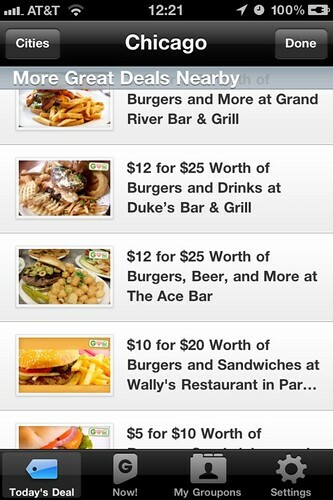 there were about 20 deals and they all had BURGERS in the photo. ALL OF THEM. ugh. it was disgusting.